astringency and listing off crazy descriptors like baked apple pie. confidence to go out on your own and take part in the fun that is the wine industry. Going wine tasting gives you a GREAT excuse to wear that super cute dress that’s a little too fancy for everyday life. And for you guys out there, a nice button-up and some jeans would be completely acceptable. Since tasting rooms are usually surrounded by beautiful vines and rolling hills, they usually provide the perfect Kodak moment for you and your friends. If you’re not the type to dress up, casual attire is usually suitable. My biggest tip here is to make sure to wear comfortable shoes, because you never know if you’ll get the opportunity to walk in the vineyard or through a cellar with possible wet floors. One of the biggest no-no’s in the tasting room is any perfumes or lotions with a strong scent. 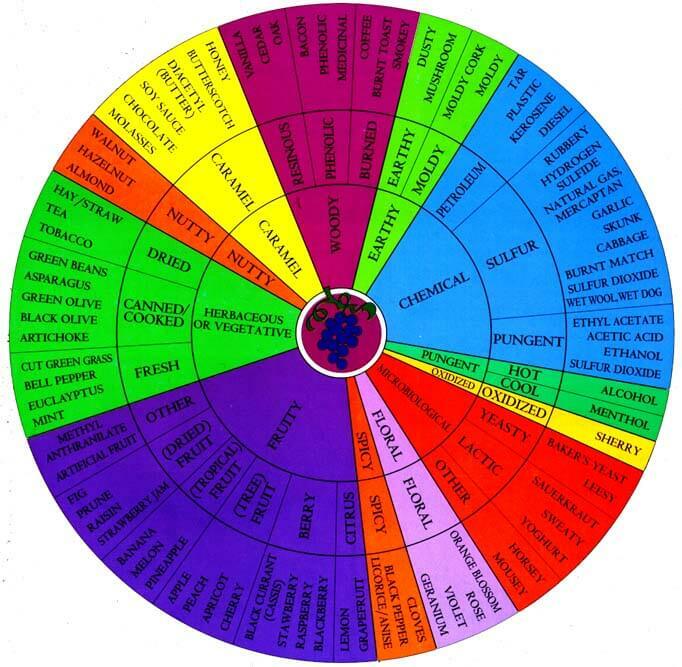 Part of the tasting experience is finding the variance in aromas within different wines. If you’re wearing a strong scent, not only are you going to find it more difficult to pick up aromas in the wine, but you’re going to inhibit others’ ability to smell around you. 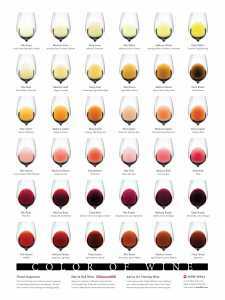 You’ve seen those people, whether in movies or in-person, swirling their wine and placing their nose inside the glass to get a good whiff of aromas – it’s almost a routine that all wine connoisseurs partake in. So you’re in the tasting room and the attendant pours you your tasting. What is the proper way to taste? Let’s take a minute to break it down. Blanc, Albarino, Pinot Gris, etc. barrel i.e Chardonnay, Viognier, etc. Pale garnet: lighter reds i.e. Pinot Noir, Zinfandel, etc. these are clues to the varietal and climate. After swirling, look at the legs or tears that run down the sides of the glass. Are they thick and slide down slow? This could mean there is a higher alcohol content or a little more residual sugar in the wine. If the legs are thin and slide down fast, this could mean there is a lower alcohol content. I know after seeing, and swirling you really want to taste, but one more step will allow you to really enjoy what you are about to sip. Hold the glass just beneath your nose and sniff, swirl and smell again, what are you remembering? I’m smelling a wine and it definitely smells like chemicals. I look under “Chemical” and there are 3 subfamilies: pungent, sulfur and petroleum. I’m thinking it smells more like petroleum than the others. I then look at the descriptors under “petroleum”: tar, plastic, kerosene, diesel. I smell my wine again…definitely kerosene. From my wine background, I know that Rieslings typically have kerosene in their aromatic profile, therefore my best guess is I am probably smelling a Riesling. This is the what you’ve been anticipating, take a large sip and let it coat your mouth, see if you can pick up 3 fruit flavors. This is definitely hard at first, but the more you practice, the better you’ll get! 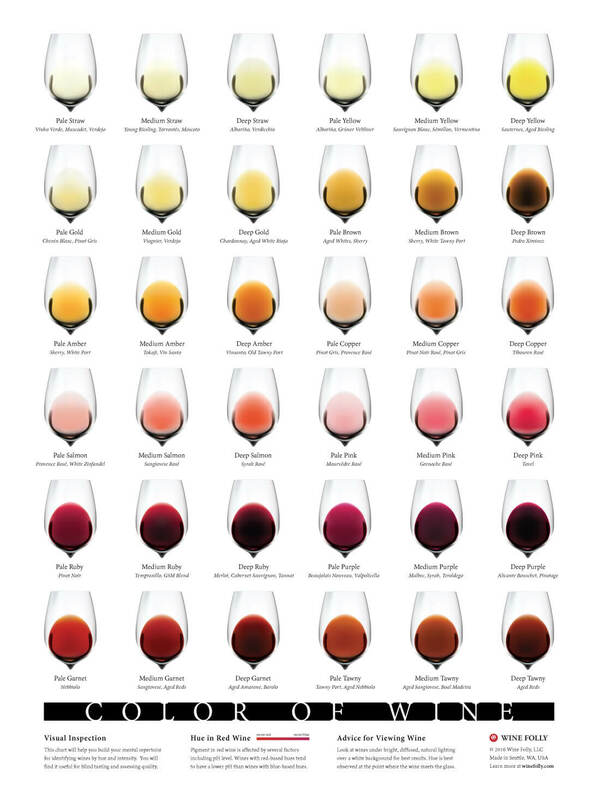 Identify what traits are hitting your palate. Sweetness is towards the front. Acidity makes your mouth water. Tannins are drying and create a tactic sense in your upper lip or the roof of your mouth. Alcohol feels like heat at the back of your throat. an educational hobby if you decide you want to learn more about the reasons why the drink is so complex. tricks are a great place to start if you want to get more serious about wine!